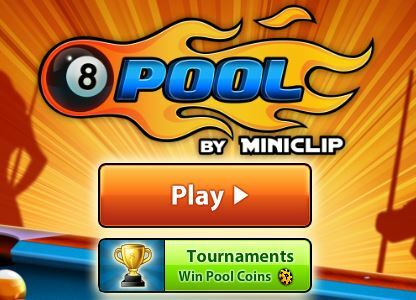 Short game description: Miniclip Pool Game - 8 Ball Pool by Miniclip is the biggest and best multiplayer Pool game online!.Play it free, rate it, send to your friends, add the Miniclip Games code to your blog or Myspace. Detailed description: Play for free against other players and friends in 1-on-1 matches, and enter multiplayer tournaments for the billiards crown. Level up as you compete, and earn Pool Coins as you win. Enter the Pool Shop and customize your game with exclusive cues and cloths. This is the complete online 8 Ball Pool experience. This is the best multiplayer 8 Ball Pool billiards game you�re ever going to play, so start playing for free today!